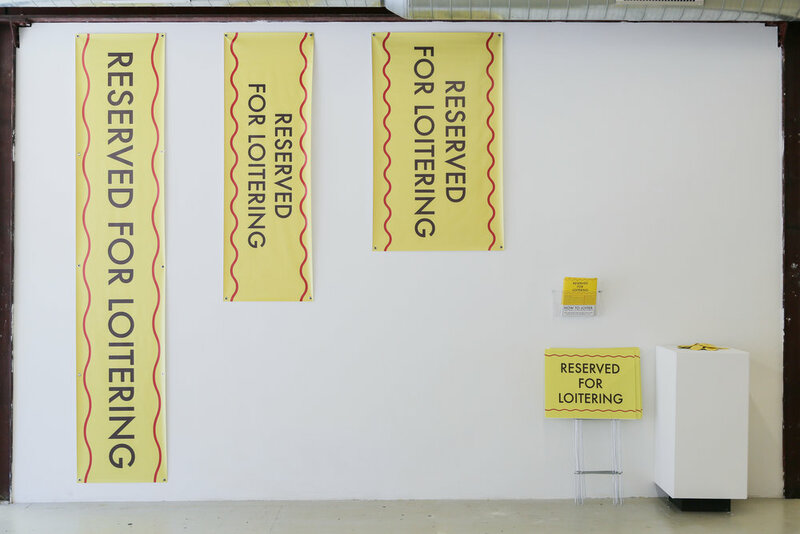 Reserved For Loitering is part of an ongoing project, How To Loiter, that seeks to re-imagine and create new sites for loitering through a Public Service Announcement style campaign. 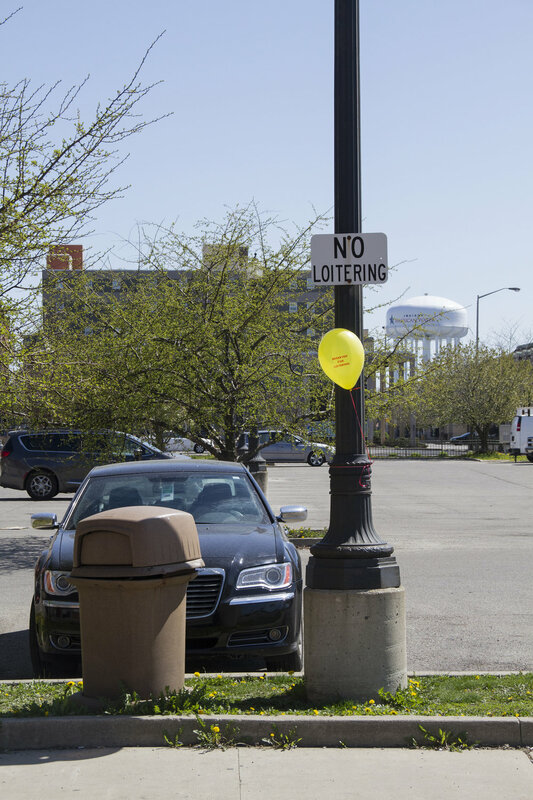 This temporary public art project includes signs, banners and balloons. 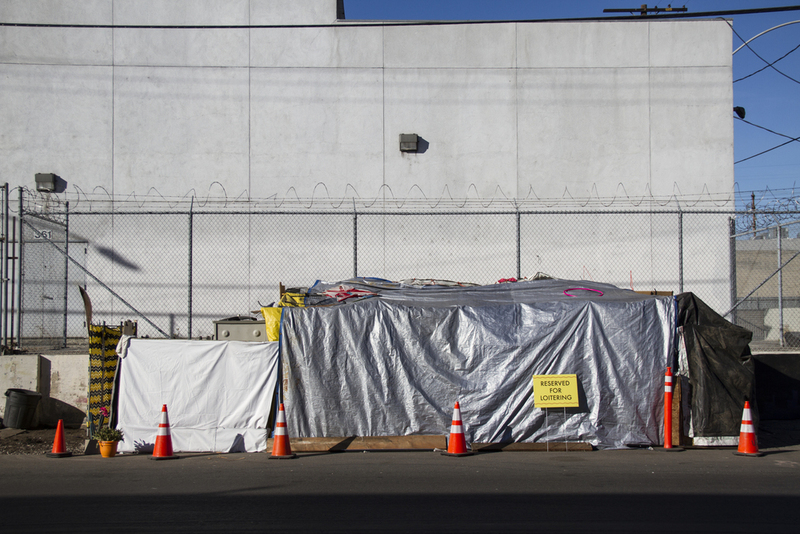 My intent with this project is twofold in aiming not only to change the public perception about loitering, but also to encourage purposeful action while loitering. At the current stage of the project I've been trying to put the signs into peoples hands so they can determine where people can loiter. I'm actively looking for community partners and neighborhoods to distribute the signs, if you would be interested please reach out. These images document the project in St. Louis, MO, Los Angeles, CA, Philadelphia, PA, Albuquerque, NM, Washington D.C. and Baltimore, MD. This project will move to various communities across the United States over the next two-three years. Campaign Headquarters from Sporadic Democracy in St. Louis, MO. Shot of How to Loiter at Open House in Kansas City, MO.